We get pretty stoked around here for Halloween, so we’ve been talking tricks and treats lately. Coincidentally, McLain has a new-found confidence on his feet. 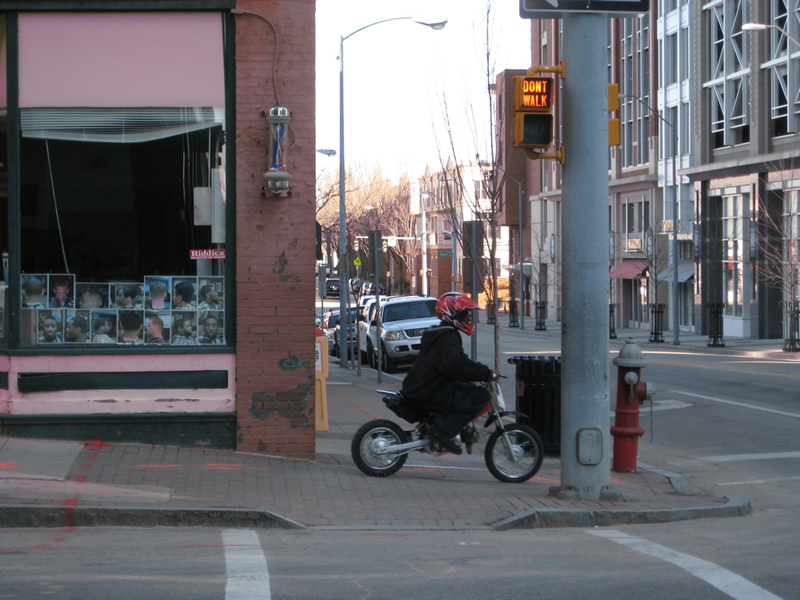 That’s right — he’s now ambulatory. He’s going to be a spider for Halloween, but as our friend Sarah suggested, his walking style and grunting evoke a miniature Frankenstein. Jackie and I were busy this weekend with a new art project. Jackie's on the left, mine on the right. I know, I know -- I probably could have picked a scarier paint color than pastel orange. 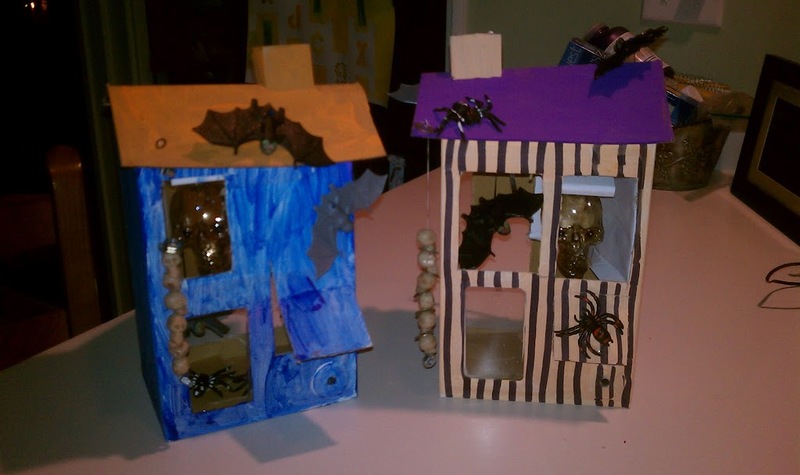 We made these light-up haunted houses that are pretty darn spooky when you turn them on in the dark. Darth Vader lives in Jackie's box. When he's renovating the Death Star, he lives in a first-floor room with a large window. 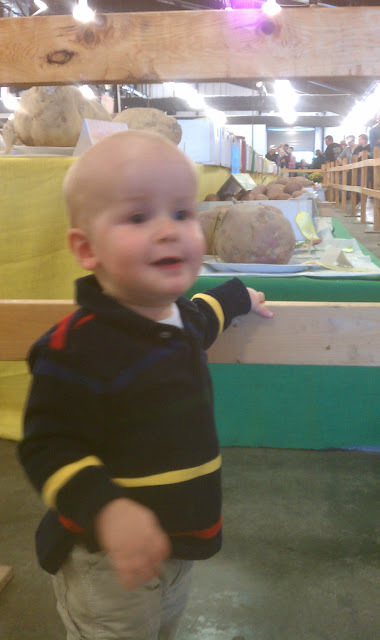 Here are two more pictures from our family trip to the state fair on Friday. 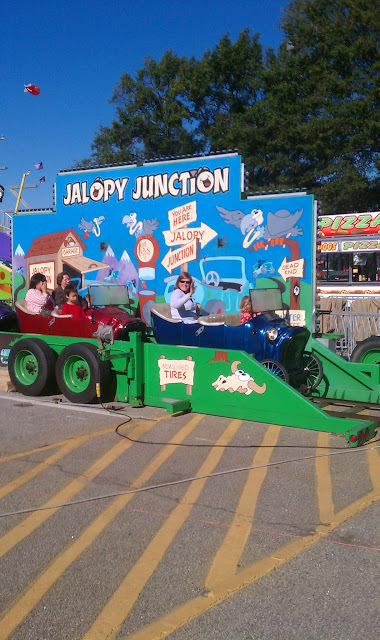 Katie took both kids on a tour through Jalopy Junction. McLain is posing here with a sweet potato that’s close to the same weight as he is, with about the same amount of hair as he has.